MANILA, 14 June 2016: Ever wondered how much monthly salary you should be earning in order to afford a house in different cities and municipalities in the Philippines? 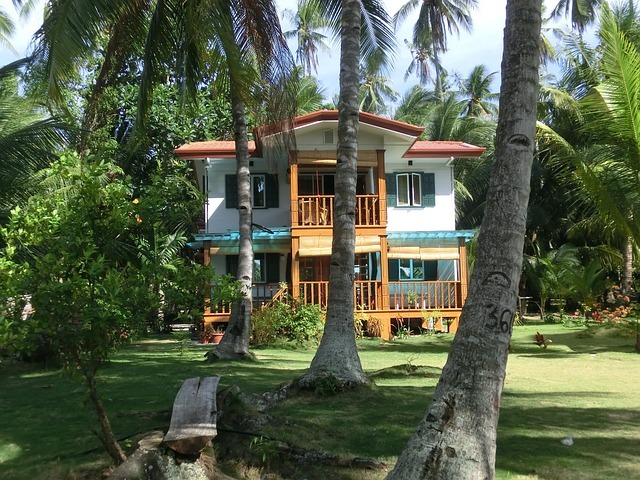 Global property website Lamudi Philippines looked into its May 2016 listings data and see the average prices of homes in different cities in the Philippines. With these averages, we used the 2.5 rule to determine how much monthly salary you should be earning in order to afford a home in these places. The 2.5 rule works like this: the cost of the home you can afford is 2.5 times your annual salary. But this approach is only a general guideline. Although many financial experts highly recommend not buying a home that’s more than this, some people’s lifestyle may be able to let them afford a slightly more expensive property (for example, childless couples or singletons), while others who have higher monthly expenses should consider spending on a much cheaper property. However, as general as it is, the 2.5 rule allows us to gauge the housing market. By knowing how much you can afford, you can determine how far your income can take you based on Lamudi’s average house prices in 10 cities and municipalities in the Philippines. The capital of Rizal, Antipolo is also the province’s most populated city. For years Antipolo is one of most favored residential options for many of Metro Manila’s workers, but commute to and from Metro Manila has become unbearable as of late due to traffic congestion. But this is expected to improve soon when LRT-2 is extension is completed. As of May 2016, average home price in Antipolo stands are Php4.06 million. This means in order for a person to afford a home in Antipolo, he must have a monthly salary of at least Php135,533. Situated southeast of Bacoor, Imus is now consider a highly urban area teeming with many residential subdivisions, shopping malls, and industrial estates. It also has a huge population that’s expected to increase further (its population increased more than 5 percent per year between 2010 and 2015). As of May 2016, average house price in Imus is at a relatively affordable Php1.92 million, which means in order for an employed person to afford to buy a house here, he or she must be earning at least Php64,000 per month. Located at the southern tip of Bataan Peninsula, Mariveles can be seen from Manila Bay on a clear day, but road travel to this municipality will take approximately 4 hours via the North Luzon Expressway and San Fernando, Pampanga. Hence, home price as of May 2016 is relatively affordable, averaging Php270,492. A monthly of Php9,016 may be able to afford you a home here—if you don’t mind the commute time. Similar to its neighbor Imus, Bacoor is quite a popular suburban residential destination for those working in Metro Manila, but homes are quickly become more expensive (much more so than Imus being closer to the capital). As of May 2016, average house price in the city stands at Php3.742 million, which means one has to have a monthly salary of Php124,733. Situated approximately 34 km south of Makati via the South Luzon Expressway, Santa Rosa City is known as Laguna’s motor city being home to the production facilities of international carmakers Toyota, Nissan, Honda, and Mitsubishi. As a result, home prices have been climbing steadily. As of May 2016, average house price in Santa Rosa stands at approximately Php2.5 million. This means one should be making at least Php83,333 per month in order to afford a home here. General Trias’s population has been steadily growing since 2000, and it is now home to several industrial estates, many residential subdivisions, and leisure estates. Average home price in this Cavite city currently stands at Php2.55 million; hence, a person who plans to buy a house here should be making Php85,000 per month. The capital of Quezon Province and one of CALABARZON Region’s highly urbanized cities, Lucena also boasts a highly evolving housing market. Currently, home price averages Php2.49 million, which means an average monthly salary of Php83,000 is needed to afford the city’s homes. Highly accessible from Metro Manila via the South Luzon Expressway, the historic city of Calamba is also a popular weekend destination because of its many hot spring resorts. The city’s housing market is also quite buoyant, with houses averaging Php2.75 million according to Lamudi data. A person who wants to relocate in the city must be making at least Php91,666 per month. Over the next six years the city of Davao will become one of the country’s most celebrated cities being the official home of president-elect Rodrigo Duterte. But as of this writing Davao’s housing market is already quite pricy, with homes averaging Php6.64 million. This means a monthly salary of Php221,333 is needed to afford houses in Davao. Similar to Davao City, Cagayan de Oro’s housing market is quite expensive as of this writing. Houses in this Northern Mindanao city average Php5.89 million, which means a monthly salary of Php196,333 is needed in order to afford homes here. Although figures on average house price presented in this article are based on actual properties for sale listed on the Lamudi website, they do not mean one cannot find homes for sale in these cities that priced well below these averages. Home-seekers are encouraged to visit Lamudi Philippines to check out a wide range of homes available for sale in the cities mentioned above.